As of Fall 2017, there has begun a structural integration of Counselling and Mental Health Services. In order to optimize service delivery to students, all clinicians have become one unit under the name Counselling Services and all psychiatrists have formed a new unit called Psychiatric Services. You can learn more about the restructuring and how services have been affected online. The McGill Counselling Service provides one-on-one short-term counselling to individuals dealing with a wide range of psychological and emotional issues and academic and vocational challenges. Trained and experienced in dealing with the unique difficulties encountered by university students, their professional staff works with each client to alleviate distress, promote self-understanding and develop effective solutions to the obstacles impeding their growth and success. In addition to their regular counselling services they also offer vocational counselling and testing, crisis support, and the opportunity for students to participate in a number of workshops and groups each semester. They also act as a resource for parents, faculty and staff who have concerns about issues that may be affecting their loved ones or students. Psychiatric Services is available to all full and part-time McGill students who have been referred by a family doctor or another physician and paid Student Services fees. The information shared in Psychiatric Services is strictly confidential and is released only with the student’s written permission or if required by law, as in the case of child abuse or the immediate threat of harm to self or others. The Student Health Service provides appointments with doctors and nurses, as well as a walk-in clinic. The walk-in clinic is for urgent care and is open from 8:30 AM – 4:30 PM (spots fill up quickly, so try to arrive as early as possible), and the triage nurses are available if walk-in spots are filled up. Students in need of prescription renewals, physicals and referrals must make an appointment by phone during office hours (10 AM – 4 PM). They also provide immunization, medical notes, STI testings, and consultations with dieticians/nutritionists. Dental services can be reached at 514-398-3155. The OSD (myAccess) aims to facilitate and support the inclusion of diverse learners. Other than exam and note-taking accommodations, the OSD also holds workshops on various topics (e.g. anxiety, ADHD, learning techniques, apps for busy students, writing apps, etc. ), runs a mentorship program and a study partner program, as well as provides access to a computer lab and many adaptive software and equipment. First appointments must be made with an Access Advisor via an online form on their website. The first meeting can be done in person or via Skype. The SSAO aims to promote accessibility, support retention, and encourage scholarship through financial awards for needy and deserving students in any degree program from any geographic origin. It also provides resources and workshops on money management, and administers the Work/Study Program. Service Point assists current students with enquiries pertaining to their student record, in addition to their fee status and the billing process. Students can get information and assistance regarding transcripts, ID cards, holds on course registrations, exam conflicts or deferrals, and student exchanges. Service point is open from 10 AM – 4 PM, and students can add themselves to the waiting list via the P@geMe app (pageme.mcgill.ca). The Tutorial Service is a peer tutoring service that matches students’ request for academic assistance with a qualified student selected from a bank of private tutors. Tutors cost $15/hour, and first-year students get one hour of free tutoring, while students on probation get free tutoring. Varsity athletes, students with disabilities, and Indigenous students get subsidized tutoring. Occasionally, there are free tutoring sessions for some large classes. The ISS supports international students at McGill, and aims to ease their transition to their new life here. The ISS provides information about health insurance, assistance in applying for documentation to study or work in Canada, language support and more. It also runs the Buddy Program, as well as many workshops (including a workshop about winter). McGill Students’ Nightline offers a confidential and anonymous information, listening and referral service. Ready to take calls & online chats on virtually any topic, Nightline’s volunteers are there to help answer information questions, such as inquiries regarding academic policies, directions, or even food delivery numbers. As well, their lines are open to anyone who just wants to chat about something that might be on their mind, such as exam anxiety or relationship troubles. SACOMSS is a volunteer-run organization committed to supporting survivors of sexual assault and their allies through direct support, advocacy, and outreach. 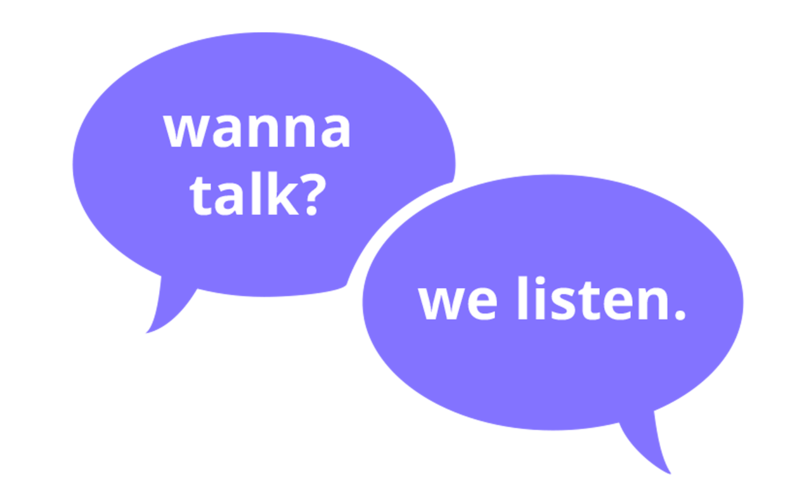 SACOMSS provide a crisis helpline, in-person support, support groups, advocacy, as well as community initiatives such as workshops and peer education. If you’re interested in learning more about the available clubs and student organizations on campus, take a look at the SSMU Clubs Listings. These are a great way to make new friends, explore an interest/hobby, pick up a new skill, or just get rid of loneliness. Visit the club’s Facebook page or website to learn about what they do, or about upcoming events. This website provides information about academic issues, including regulations regarding course syllabi, grading, assessments, final exams (especially conflicts and deferrals), and academic accommodations at the undergraduate level. It also contains resources that will help you in resolving disputes. For any questions, send an email to studentrights@ssmu.mcgill.ca. Drop-in advising: Monday to Friday, 10 AM – 4 PM (first come first serve), appointments available via email or phone. For a list of departmental advisors, consult this list: mcgill.ca/oasis/resources/departmental-academic-advisers. Each Science student is assigned an Academic Advisor. Drop-in advising: Monday to Friday, 9 AM – 4:30 PM, appointments available via email. For a list of departmental advisors, consult this list: mcgill.ca/science/student/newstudents/u1/adviser. Drop-in advising: Monday to Friday, 10 AM – 12 PM. By appointment: Monday to Friday, 2 PM – 4 PM. For a list of departmental advisors, consult this list: mcgill.ca/engineering/current-students/undergraduate/advising-programs/advising-peer-tutoring/advising. Most questions can be answered by dropping in to the office reception or by calling the number above. To book an appointment, go to the link above and fill out the online form. To email an advisor directly, consult this list: mcgill.ca/desautels/programs/bcom/contact-us. Students should contact their department’s representative as listed on the page linked above. Come drop by the Peer Support Centre! We’d be glad to help you talk it out.